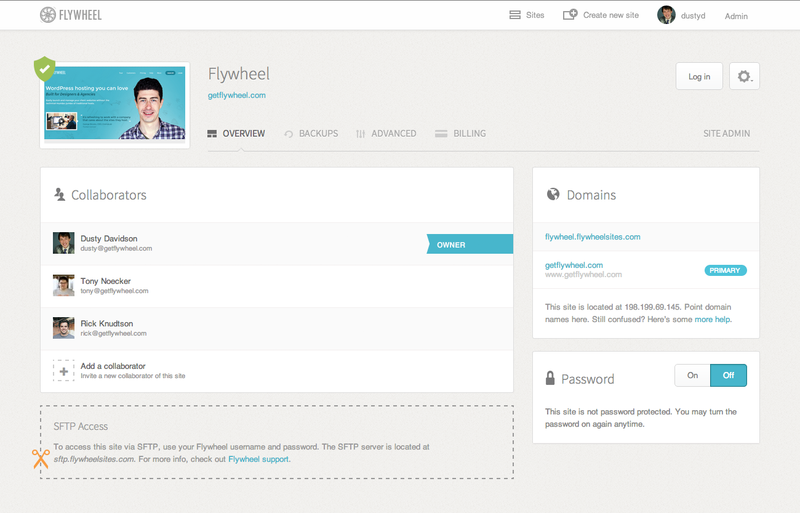 Flywheel, an Omaha, Neb.-based startup, is launching a new WordPress hosting and management service today that was built specifically for web designers, freelancers and agencies. WordPress has come a long way from being “just” a blogging tool to being the go-to content management framework for designers and web developers who want to set up a web presence for their clients. But for many of them, managing their servers and fine-tuning them to make WordPress run fast is neither what they want to spend their time on, nor what they specialize in. Also, once they have everything up and running, they still have to get their clients to get a hosting account and transfer their WordPress install, content, plug-ins and themes over to a new server. 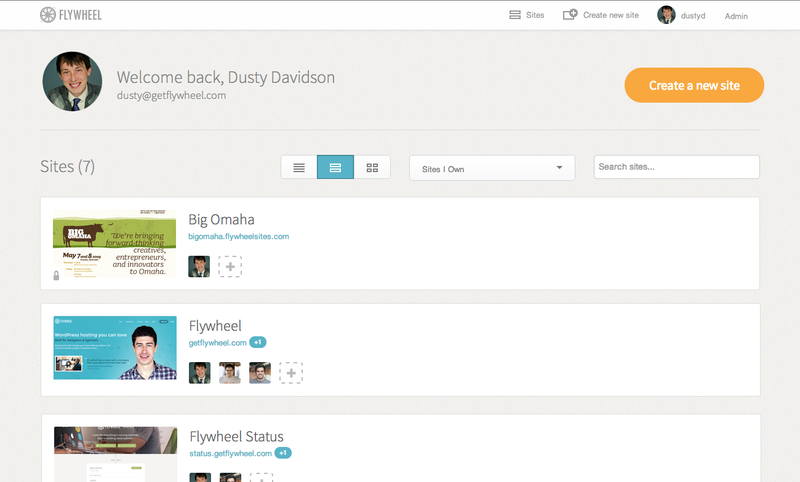 Flywheel aims to take all of this complexity out of the process. It handles all of the server management for its users and then allows them to easily transfer billing to their clients once the site is up and running. The service also allows its users to collaborate with others by making it easy to grant and revoke access to the hosting account and SFTP server for uploading files. The service, which runs on top of Digital Ocean’s servers, can spin up a new site in about 20 seconds. The service provides all users with a free demo account and doesn’t charge until the site goes live. Free sites, however, are protected with a password. As Flywheel CEO Dusty Davidson told me, the team believes that WordPress has evolved to the point where most of the people who are creating sites with it are not technical and aren’t interested in managing hosting environments themselves. The team handles all of the caching, security hardening and other hosting aspects for its users. The actual WordPress user experience, it’s worth noting, remains unchanged on Flywheel and users can install their own plug-ins and themes and make other modifications as needed. Paid Flywheel hosting plans start at $15 per month for small sites with fewer than 5,000 visitors and go up from there. The company says its most popular plan is its $30 per month account for sites with up to 25,000 visitors, 10GB of storage and 500GB of bandwidth. All of these include malware monitoring, but unless you opt for the $75 per month enterprise plan, you will have to pay extra for CDN and SSL support. The company also offers bulk pricing for agencies that work on 10 or 25 sites at the same time.